The Tree Peony is the national flower of China, long revered as the “King of Flowers”. They are thought to represent good fortune, love and prosperity. Requires a cold wintering period to fully aid and promote new growth in Spring. 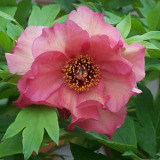 These great shrubs provide huge blooms against the unique peony leaves. 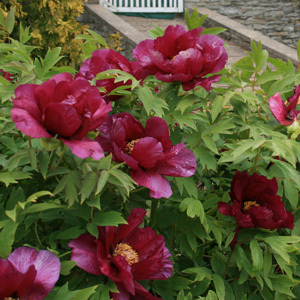 Lots of agricultural lime improves the health and flowering ability of the Tree Peony, so be generous with feeding. Flowers all Spring and Summer, an impressive sight.